Vim is 20 Years Old Today! I climbed the steep learning curve for vi/vim many years ago, wrote my .vimrc macros and continue to use it extensively even today. 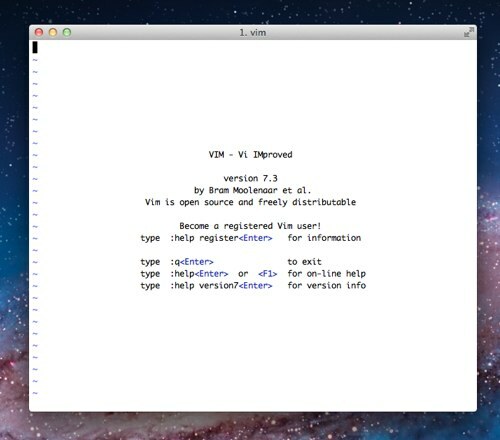 Of course, today on my Mac and Linux systems I’m using vim vs. actual “vi”. This entry was posted in Tools and tagged vim on November 2, 2011 by Dan York. This server has received 5726796 hits from both ipv4 and ipv6.